In Atchison, Kansas, where Amelia Earhart never returned home, a piece of her past finally has. The only remaining plane in the world just like the one she flew on her doomed flight arrived in her hometown on Monday. "This is the only L-10E in existence today. 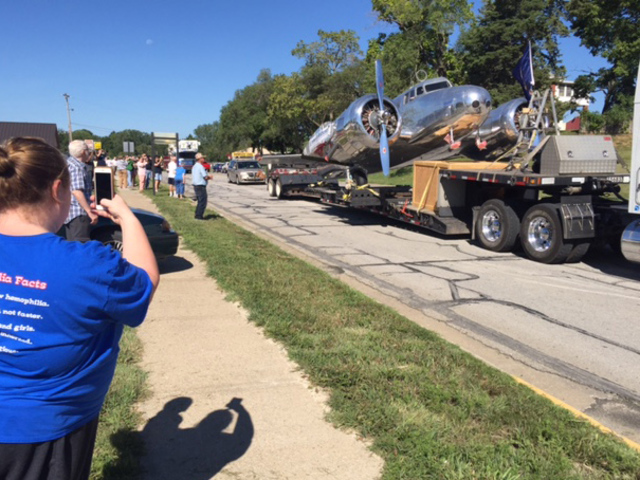 There were only 14 made," said Karen Seaberg, a board member at the Amelia Earhart Foundation, which brought the plane to Atchison. "The cockpit and everything is pristine, just like Amelia would have flown." After aviation and Earhart enthusiast Grace McGuire spent 34 years restoring that plane, it started its final journey last week. A truck brought it all the way from California to Kansas. "This town has Amelia Earhart written all over it," said Seaberg. "There's Amelia Earhart bridge, there's Amelia Earhart highway, there's Amelia Earhart Airport. Obviously you know now why we are bringing this plane to Atchison." On Monday morning, seemingly the entire town lined up to greet it. "This is amazing," said Seaberg. "The whole town is coming out. We've had every grade school kid in the public schools and now we've got all the parochial schools." 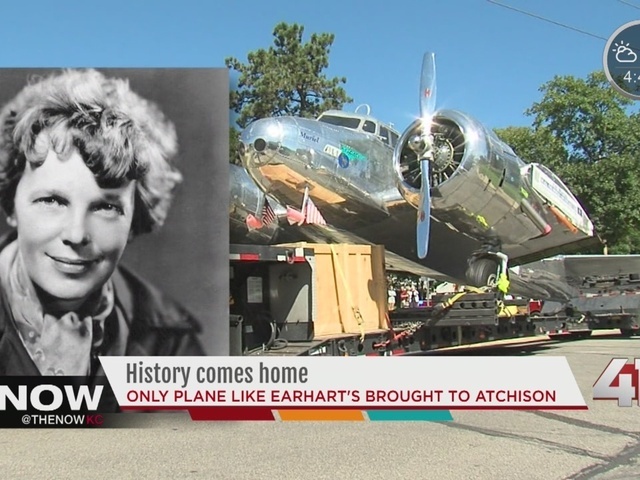 The plane eventually made its way to a new home at the Amelia Earhart Airport, where the foundation hopes to eventually build a museum to house it. It's a perfect final destination, and a perfect homecoming to honor the woman who never came home. Justin Wilfon can be reached at justin.wilfon@kshb.com.